Welcome to Dylans RV Center. New Jersey's largest Class A Motor Home Dealer. 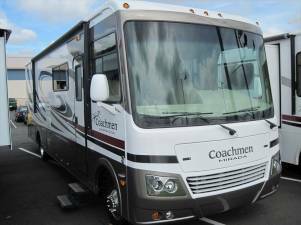 Proudly offering motor homes by Newmar, Berkshire, Charleston, Mirada, Coachmen, Show Hauler, Renegade and Dynamax. Dylans RVs isnt just a New Jersey RV Dealer though, we also offer exceptional RV Service from trained personnel and a fully stocked RV Parts Department. Stop by today to meet Dylan and select your next motorhome or trailer and enjoy affordable family fun! This ad has been viewed 1,227 times.